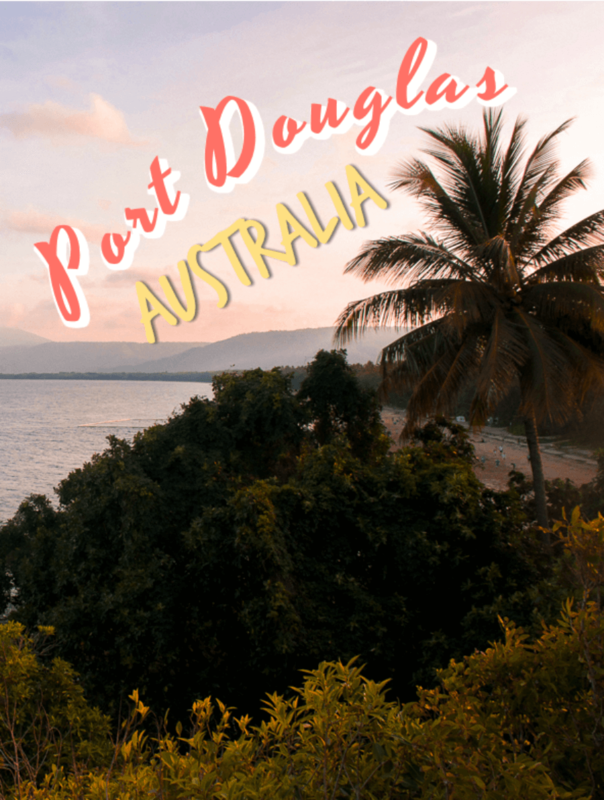 Port Douglas is known for being the hub of any visit to Tropical North Australia. Here, you’ll find a true mix of relaxation and adventure; from laying on the beach to searching for Cassowaries in the Daintree Rainforest. No matter what you desire, Port Douglas is definitely the place to base yourself during your trip to Northern Queensland. 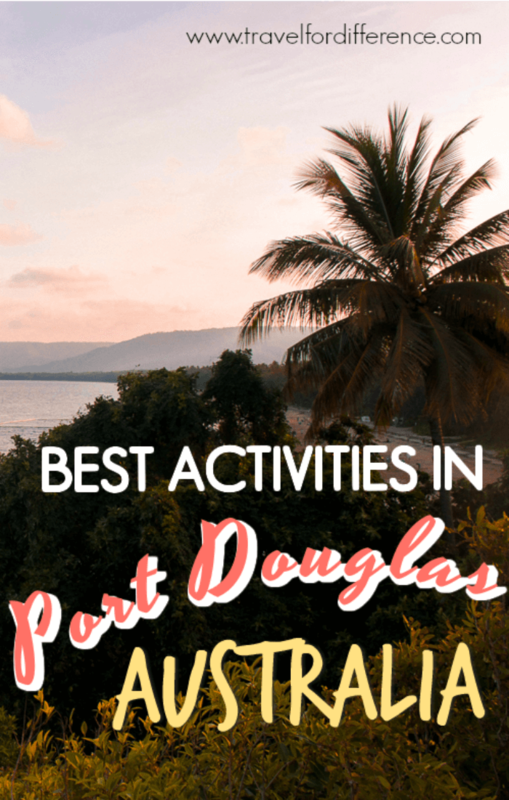 If you’re a little stuck on what amazing things to see and do around the area, here is a list of the best activities in Port Douglas… I have no doubt that you’ll find something that’s perfect for you! Easily the most popular activity in Port Douglas is relaxing on Four Mile Beach. As its name suggests, this beach is a long stretch of open coast in the centre of town, which is the perfect place to lay under the palms, swim in the water (in the designated areas of course… you don’t want to get stung by jellies) and watch the world go by. It truly is beautiful, and a popular attraction for good reason! Walk or drive to the top of Flagstaff Hill and admire the amazing view of Four Mile beach and the surroundings of Port Douglas. I highly recommend walking, as it’s a beautiful trail through the vegetation where you’ll feel truly immersed in the tropical atmosphere. It is an uphill walk, but hardly strenuous… The perfect way to get in your daily exercise! Sit under the palm trees and admire the ocean view; Rex Smeal Park is a beautiful location along the coastline which is the best place to view the sunset, watch the boats come in and enjoy a picnic dinner. On the days when the beach is a little overcrowded, Rex Smeal Park is the perfect alternative to escape the madness and enjoy the sunshine! Between June and October every year, Port Douglas hosts a moonlight cinema! Only 5 minutes from the centre of town, the outdoor movies are an amazing way to connect with other travellers or locals, enjoy a film and relax with friends and the many happy pooches too! Get your feet off the ground and enjoy the view from high in the sky! GBR Helicopters is a company operating from Port Douglas that can take you on flights around town, over the Great Barrier Reef or above the Daintree Rainforest. If you’re willing to spend a little more cash, it’s definitely an activity in Port Douglas that you won’t ever forget! After all, there’s nothing quite like seeing the world from the air! Out of all the activities in Port Douglas, I’m sure it comes as no surprise that a trip to Great Barrier Reef is the one you cannot miss. As I mentioned in my post dedicated to my experience in the magical underwater world, experiencing the reef with Wavelength Reef Cruises is the absolute best. This is a bucket list activity that everyone should have the chance to experience! Hire a car and enjoy the beauty of the world’s oldest rainforest! Around half an hour from the centre of town will take you to the Cape Tribulation ferry; cross the Daintree River and enter a whole nother world of tropical history! Enjoy the many activities in this beautiful region, or simply drive through the rainforest along the incredible coastline. Search for cassowaries, admire the unbelievable view and immerse yourself in the finest form of nature. You certainly won’t regret it! This is definitely one of the most popular activities in Port Douglas, mainly due to its very close location from town, but also as it allows its guests to gain a deeper insight into the cultural beliefs of indigenous Australians. 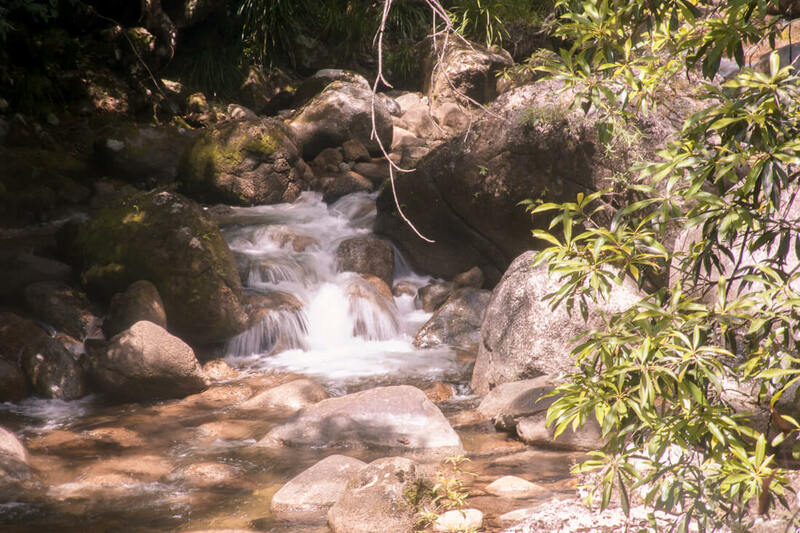 Surrounded by rainforest, Mossman Gorge is also home to a freshwater swimming hole which attracts a lot of visitors throughout the year. No matter whether you want to cool off amongst the southern region of the Daintree, explore the flora and fauna of Tropical Australia or learn more about Australia’s history, Mossman Gorge is a must do for any trip to Northern Queensland. Tropical North Queensland is known for its massive population of saltwater crocodiles, and a trip to Port Douglas would not be complete without searching for them along the Daintree River. But please… Don’t go searching for them yourself! These dangerous creatures are some that you don’t want to mess with, so going with a reputable company is definitely recommended. My recommendation is to choose an eco-friendly river cruise such as the Daintree River Cruise Centre, and NOT Hartley’s Crocodile Adventures. See them in their natural habitat rather than in an enclosure! The Port Douglas region is surrounded by swimming holes! Considering that you can’t swim at most of the beautiful beaches, locals tend to cool off in a safer area instead. You can head to places like Mossman Gorge, or if you want to find somewhere that’s a little more secluded, ask one of the locals or someone from a tourist centre to direct you to one that the locals love. 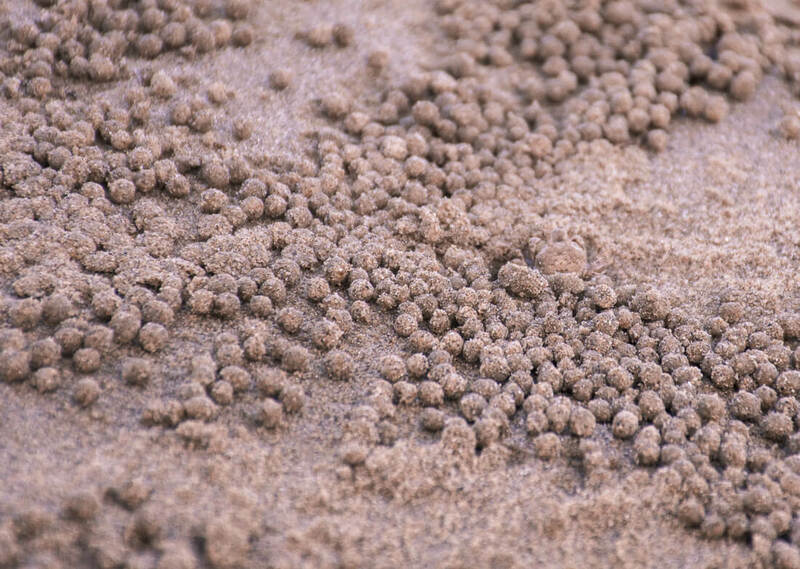 You’ll probably be driving down a bumpy dirt road into the middle of nowhere… But what you’ll find at the end will most likely be a magical surprise! Travel for 7.5 kilometres above the Barron Gorge National Park on the Skyrail Rainforest Cableway! This journey is just above the treetops overlooking the beauty of the rainforest and Australia’s Wet Tropics. You’ll stop at 2 locations to walk along the forest floor and overlook the famous Barron Falls! About 40 minutes south of Port Douglas is the beautiful town of Palm Cove. Surrounded by a beautiful picturesque beach and a huge variety of quirky cafes and restaurants, this is a lovely location to spend the afternoon and explore somewhere new. Also a great stop on the way to or from the airport! If you have any other activities in Port Douglas to add to this list, we’d all love to hear from you – Share the love! sounds lovely! I’d love to go ,so many fun things to do.